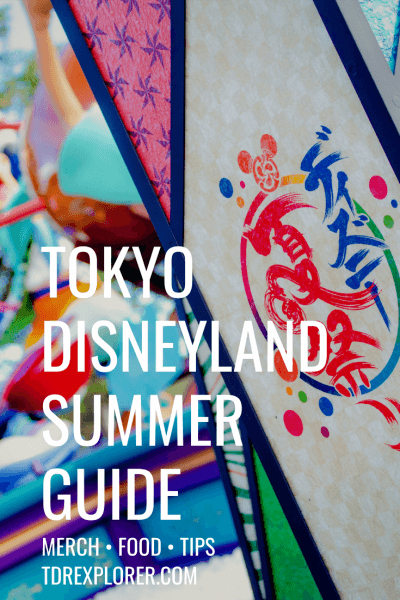 Summer at Tokyo Disney Resort is hot, humid, and busy, but a ton of fun. If you can bear the heat and summer crowds, you’re in for a unique experience you won’t find at any other Disney Park. Our guide tells you everything you need to know about entertainment, merchandise, food, weather, crowds, plus tips and recommendations. 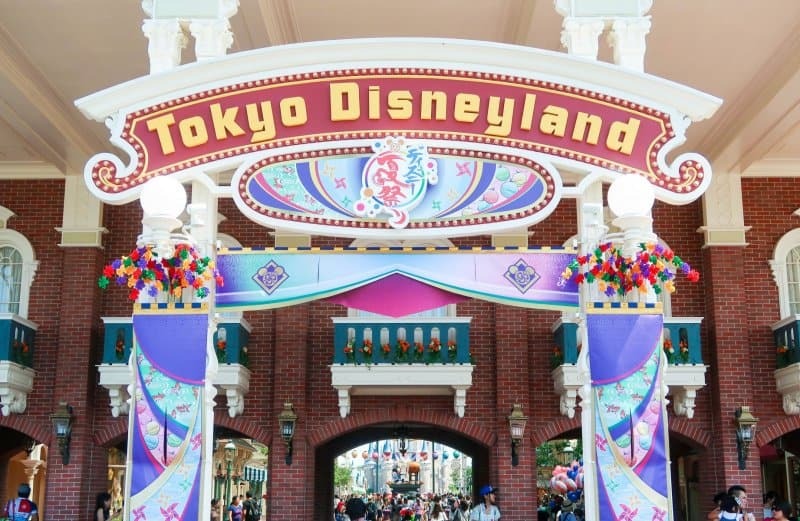 Each park has their own separate event, which makes it worthwhile to visit both Tokyo Disneyland and Tokyo DisneySea. Disney’s Summer runs July 10, 2017, until September 2, 2018. 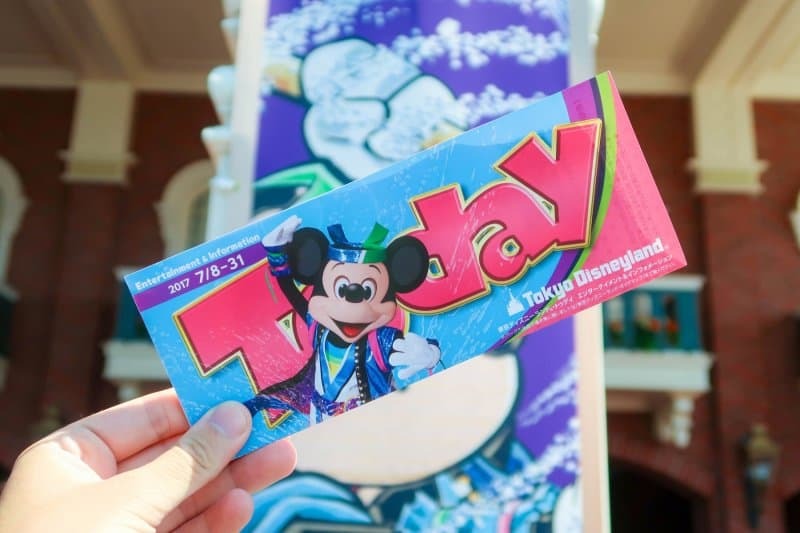 Summer at Tokyo Disneyland takes a more traditional spin for their event, which means if you’ve ever been to a Japanese summer festival before, it’ll feel familiar. If you haven’t, you’re in for quite the treat. 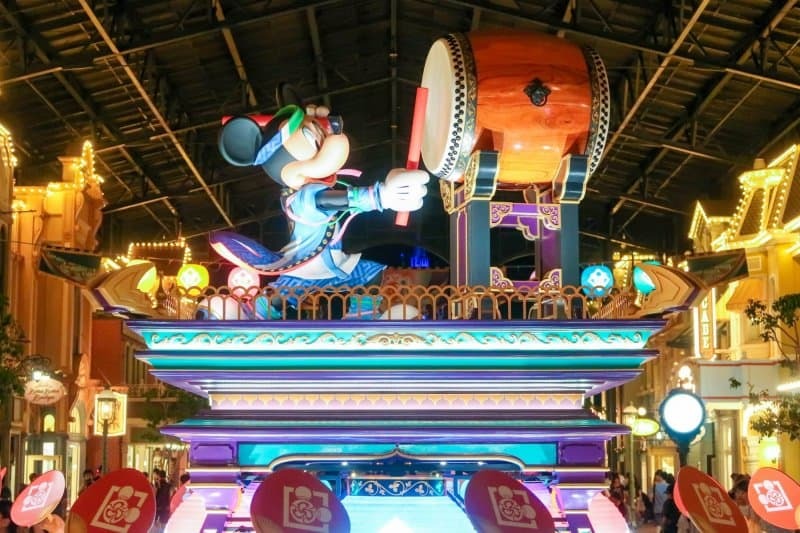 From taiko drums to Mickey and Minnie dressed in summer yukata (summer version of a kimono), there are lots of things to love about Natsu Matsuri (which translates to “Summer Festival”) at Tokyo Disneyland. Each seasonal event brings a new or updated show. This year for Natsu Matsuri a new show called Sansui! 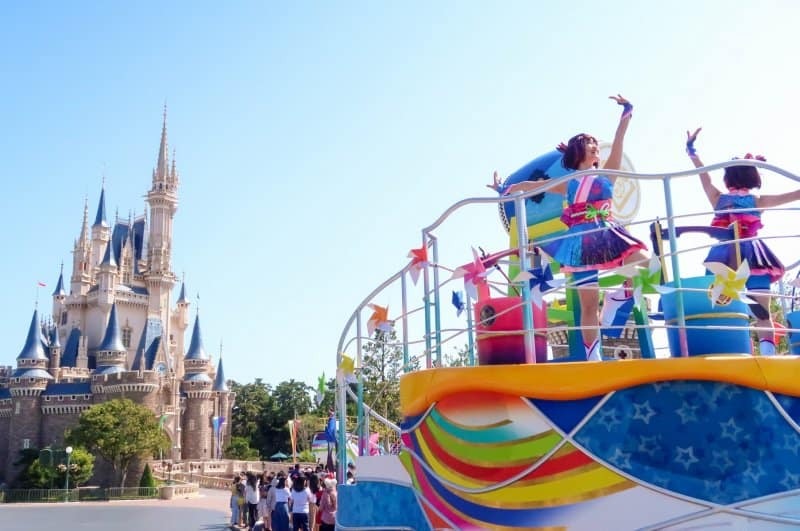 Summer Beat (燦水！サマービート) hosts Mickey and Friends on huge barges in front of Cinderella Castle and hoses down guests with water cannons (yes, you read that right). This is one of the few times throughout the year where you see Mickey and Friends in traditional Japanese clothing—the others being New Year’s and Tanabata Days. This year an update to the Tokyo Disneyland Electrical Parade Dreamlights made its debut with brand new and updated floats. This type of update happens every few years. I consider this one of the best shows at the resort, hands down. 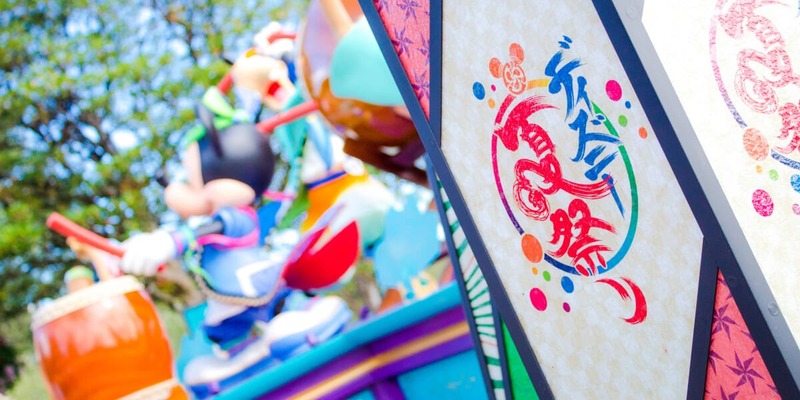 Read my guide to parades and entertainment at Tokyo Disneyland to learn about the best spots for these shows! There’s enough to keep the photographer in you busy, or if you prefer, quick snaps for Instagram. The entrance to the World Bazaar (their version of Main Street U.S.A.) decorates the sign that reads “Tokyo Disneyland” with beautiful banners and ornaments which make for the perfect photo op. Then in the middle of the World Bazaar is Mickey in his Sansui! Summer Beat outfit playing a traditional Japanese instrument called the taiko drum. Then along the bottom are all the brooms from Fantasia cheering him on. Make sure to visit this again in the evening for a special surprise. The decorations don’t stop there. Over in the hub area (in front of Cinderella Castle) are more decorations with the rest of Mickey’s friends, such as Goofy, Chip ’n’ Dale, Pluto, Minnie, Daisy, and Clarice. Also, don’t forget to take your unique photo of Cinderella Castle with the traditional Japanese lanterns. 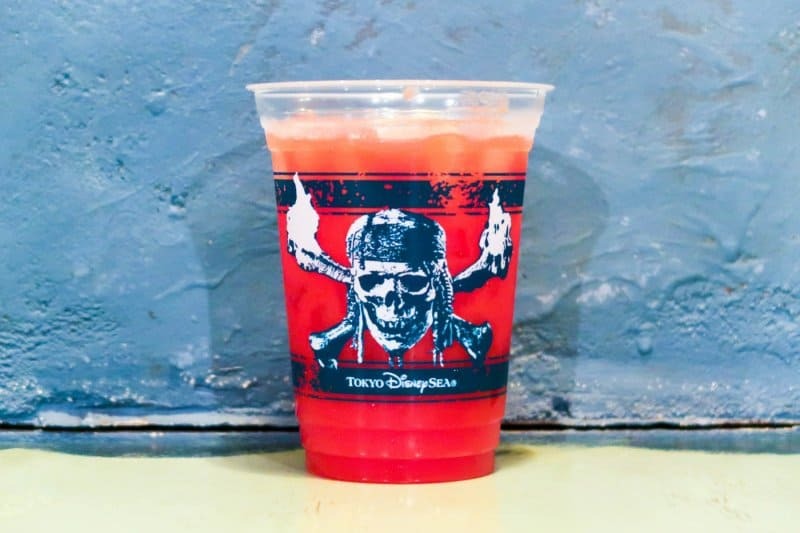 You can’t have an event at Tokyo Disneyland without special limited-time snacks and dishes. 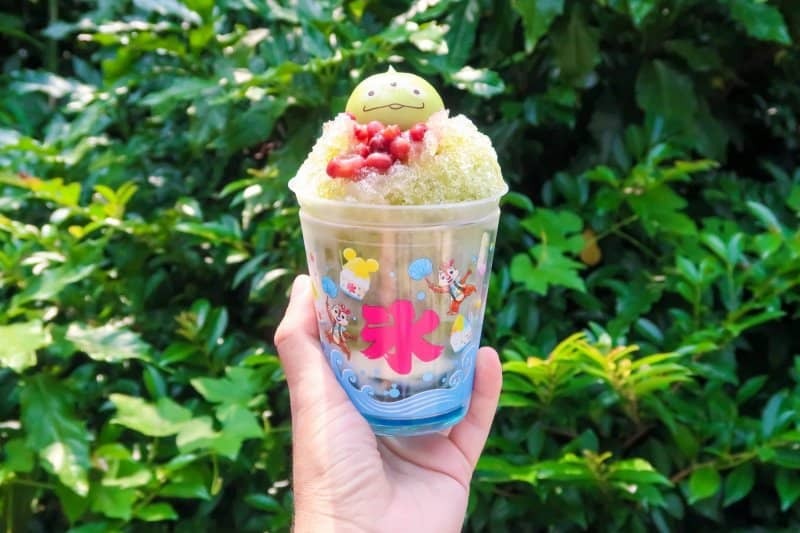 There’s something there for everyone, from the traditional Japanese summer snack kakigori (shaved ice) to a hearty meal at Grandma Sara’s. We have all the food listed here for you. I recommend the shaved ice, ramune drink, and the hot dog from the Refreshment Corner. The ice milk dots are pretty, but don’t taste like anything special. The best part of any event for many, the merchandise. This year, they have overloaded us with cute Chip ’n’ Dale specific merchandise and it’s fantastic! You can browse all the items here or watch our video below. 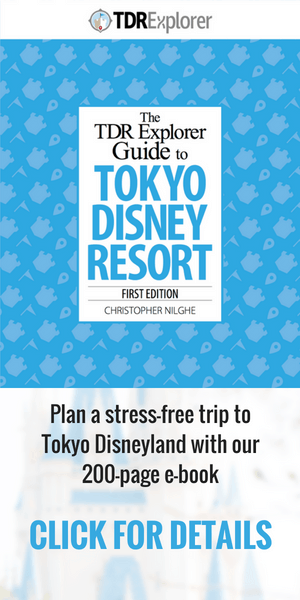 Also, don’t forget to browse our Ultimate List of Tokyo Disney Resort merchandise for the latest items. 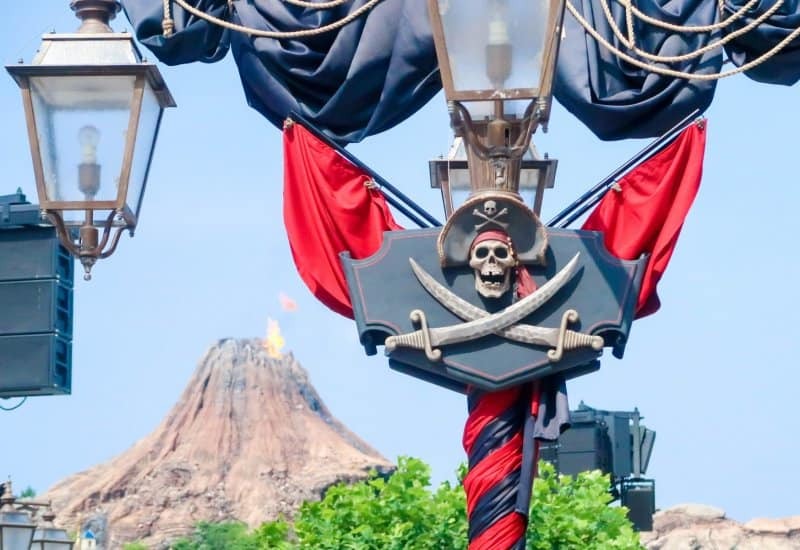 The summer events at Tokyo DisneySea is where something different is brought to the park, which fits oh so well with the uniqueness of one of the best Disney Parks. This year, to help promote the latest Pirates of the Caribbean film is a summer event that shows you what it’s like to be a pirate. 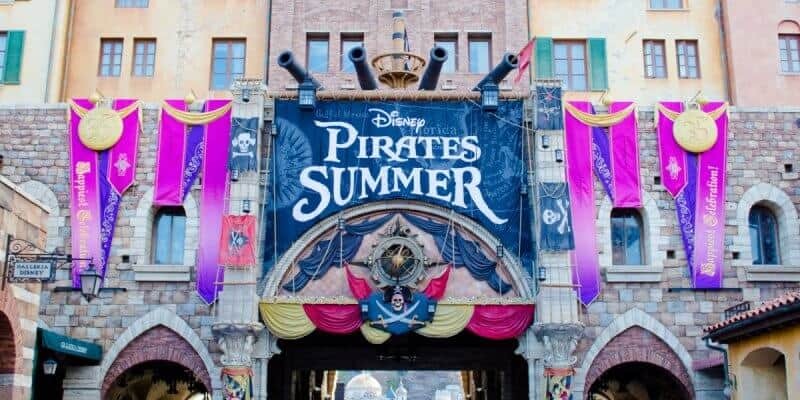 Disney Pirates Summer offers a brand new, over-the-top Harbor show, atmospheric entertainment, food, drinks, merchandise, and even photo op areas to get your fill. Pirates Summer Battle “Get Wet!” is their summer show featuring music, choreography, stunts, and of course, tons of water to ensure you’re drenched from head to toe. Pirates who occupy Porto Paradiso are led by Barbosa make an appearance along with their arch nemesis, Jack Sparrow, who is preparing for his battle against the Black Pearl. The show lasts about 20 minutes, and just like Tokyo Disneyland, there are areas where you’ll get completely soaked. For the three main areas, Lido Isle, Mickey Square, and the area in front of Zambini Brothers’ Ristorante, this is done by lottery. But there is ample space around these areas to watch without having to win the lottery. Since you will get wet in most areas, make sure to have all your electronics protected and either bring a change of clothes (change in the washroom) or quick-drying clothing. I personally buy the large plastic drawstring bag they sell at the resort, but you can ask for plastic bags at any of the gift shops. If you’re wandering around the Mediterranean Harbor or enjoying a special Pirates lunch at Miguel’s El Dorado, you may run into some Pirates who are out for a stroll. While they’ll only speak Japanese, interacting with them is a ton of fun. Now, for something non-Pirates-related. The brand new show “Hello, New York” made its debut this year at the Dockside Stage at the S.S. Columbia. The entrance to Tokyo DisneySea sports a familiar sight, complete with cannons. 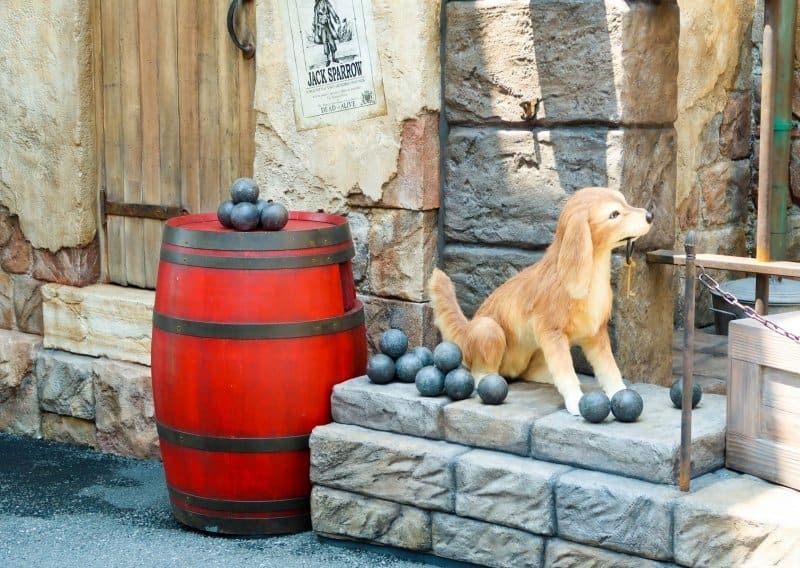 In the Mediterranean Harbor and the walkway between Il Postino Stationery and Zambini Brothers’ Ristorante is a few photo areas, one of which is the iconic scene from the Pirates of the Caribbean attraction. Ah, merchandise. 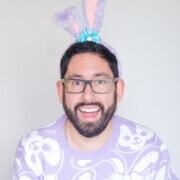 Is there anything better than spending a month’s worth of wages on cute and adorable items? Well, there’s enough merchandise here to sink a ship. We have the full list here, but you can also watch the video below! The best time to visit is after July 11 but avoid July 17 and the day before and after (which is a public holiday called Marine Day) and before August. This avoids the summer vacation crowd, and the weather is not as hot and humid yet. August is the hottest time of the year and also the busiest due to summer vacation and Obon week. Visiting at the beginning of the event also ensures you have the best chance of picking up the merchandise you want. Items are known to sell out and it’s tough to say whether or not they’ll come back in stock. Near the end of the event (end of August), the stock will dwindle and items won’t come back. Read our posts that have details about visiting during the months of July and August. Grab a Today Guide to see the latest in merchandise, food, and entertainment. Yes, it’s in Japanese, but it’s full of photos! You’ll find most event merchandise at Bon Voyage (outside Maihama station).